"Sulla mia pelle" seems to follow the conventional style of post-Gomorra Italian crime/drama films. Even though we all already knew the story, it is a great Netflix Original, albeit not an outstanding one. 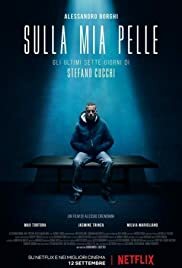 "Sulla mia pelle" could be compared to Ryan Coogler's Fruitvale Station, both in themes and structure: both films focus on recent cases of police abuse, and unwrap their plot through a short period (which is one day for Coogler's film, one week for Cremonini's). While the Cucchi case had enormous mediation relevance in Italy, I wouldn't dare to call it an "incredible true story", albeit an important case of crime perpetuated by the police. Similarly, I wouldn't say that Sulla mia pelle is a masterpiece of a film, but definitely a good film. Due to the subject, I doubt it could have been any better than how it turned out. Ever since Garrone's "Gomorra", that was released in 2008, Italian crime movies seem to have adopted a particular style, distinct from their American counterparts. Although "Suburra", "A Ciambra", or "Dogman" all share decadent settings, dark environments, crude violence, certain common cinematographic and coloring techniques. Sulla mia pelle seems to follow their style, while being thematically more of an 'inquiry' film. It is also a 'slow' film: there is virtually no action whatsoever. Even though there wasn't any gorgeous setting (as, for instance, in Suburra), I think the cinematography was great, pushed to the best it could be, despite the locations mostly being prison cells or police offices. In terms of acting, Borghi attempted to do the required transformation for the role, by visibly losing weight, and also worked heavily on his accent, in order to make it as close to Cucchi's one as possible. The end credits let the viewer hear the original recording of a court hearing for comparison. A great performance, but not as dazzling as his work in Sollima's Suburra. Still, he qualifies once again as a talented emerging actor, who I'd like to see more often in films. Borghi, however, doesn't really resemble Cucchi so much as Jasmine Trinca resembles Ilaria Cucchi, Stefano's sister. We frequently saw the real Ilaria in the news, and the similarity is so impeccable, that it almost made me wish to see more of her in the film, even though the focus was not on her. "Sulla mia pelle" is a valid film in technical terms. 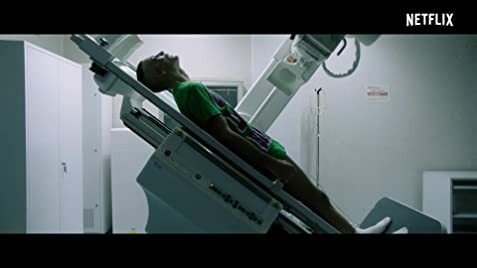 It is overall a good film, and I would put it up there together with "Dogman" and "Loro" as one of the best Italian films of the year so far, but lacks some elements that could have made it an ethernal masterpiece.